Appletrees is a comfortable and spacious Victorian Guest House with superb views over Crow Park, Borrowdale Valley and Derwentwater from the front and Skiddaw and Latrigg from the rear. Limited parking available, all rooms ensuite. 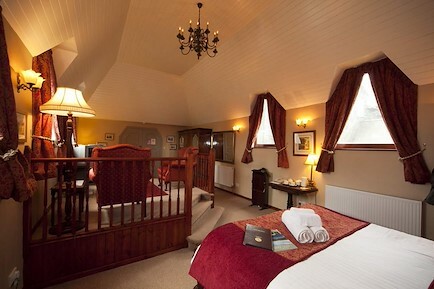 TV, tea/coffee in all rooms.Great breakfast selection cooked fresh to order . Guest Lounge with amazing views .Dogs, cyclists and walkers welcome. For anyone intending to visit the theatre during their time in Keswick, Appletrees can offer a discount voucher reducing the cost. Situated two minutes walk from town centre, bus station, Theatre or Lake. M6 jct 40, A66 to Keswick. Follow signs to Keswick. Left at mini-roundabout. 4th right turn into The Heads. Appletrees is 200yds on right. Your enquiry will be sent directly to Appletrees. Please fill in as much detail as you can.